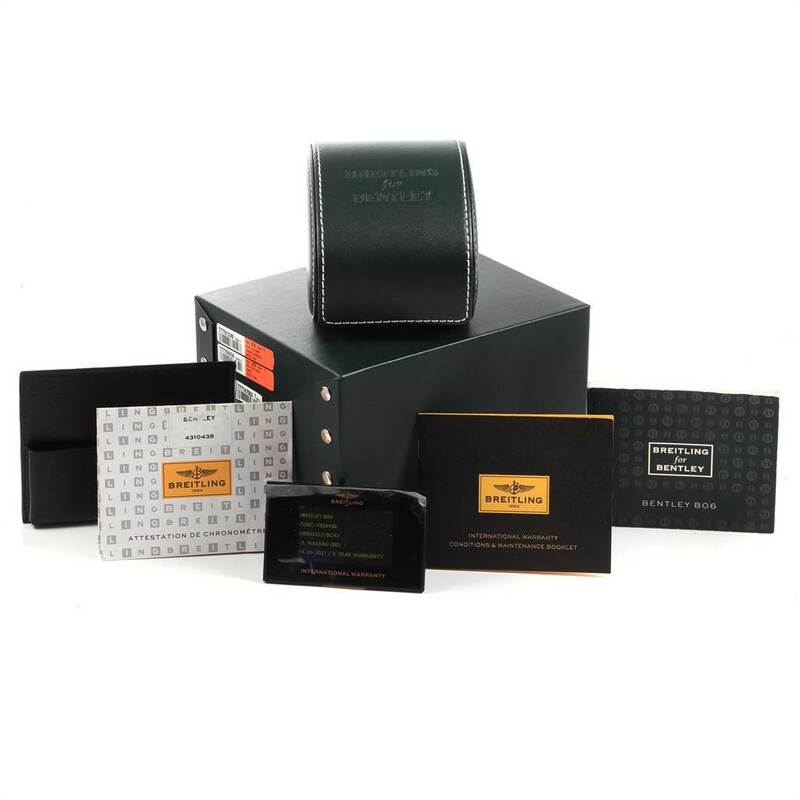 Save Additional $203.70 When Paying With Bank Wire. You pay $6,586.30. Stainless steel case 49 mm in diameter. Stainless steel screwed-down crown and pushers. Exhibition case back. 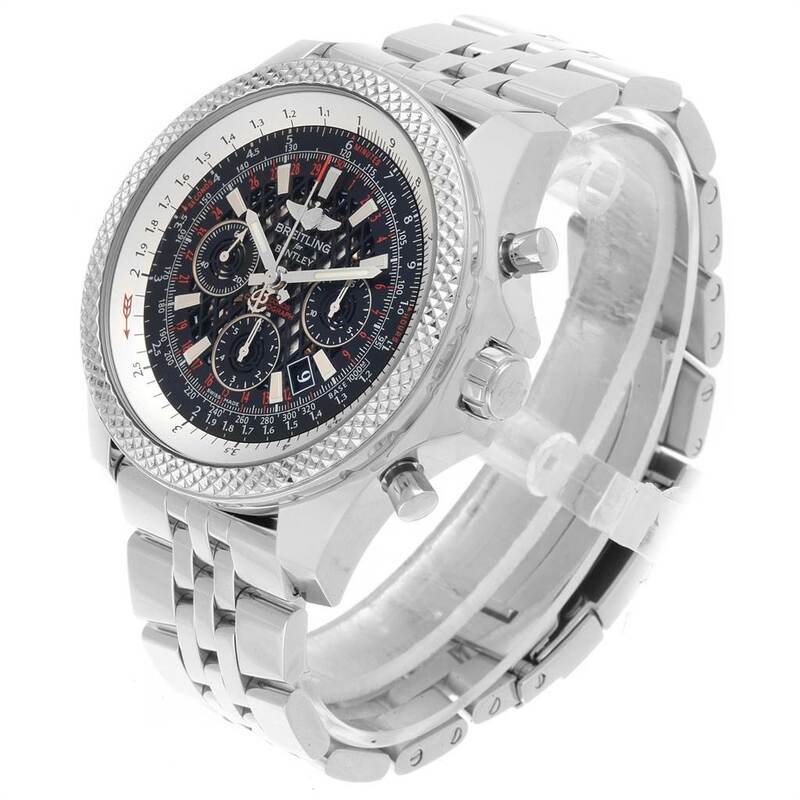 Stainless steel bidirectional rotating bezel. Black Royal Ebony dial. Luminescent stainless steel outlined hands. 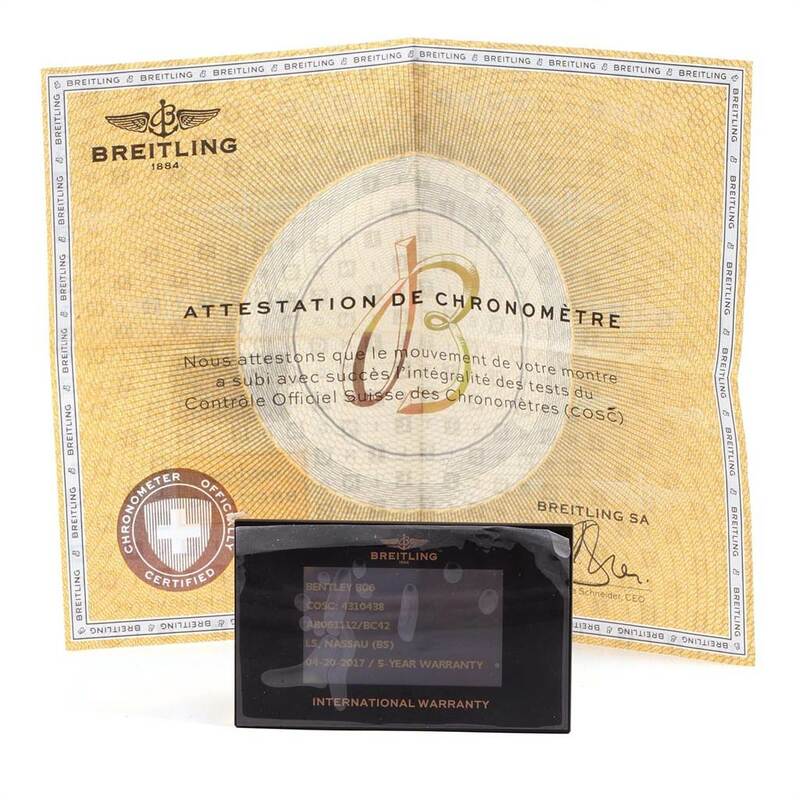 Large red-tipped central seconds counter hand with Britling logo contrweight. Date calendar window between 4 and 5. 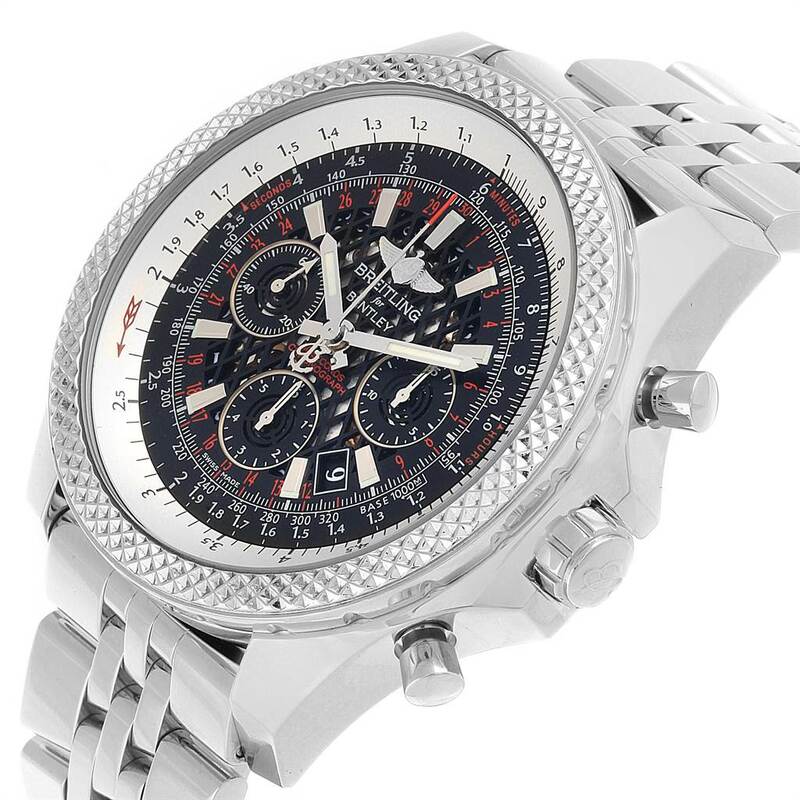 Three chronograph subdials - 30-second, 15-minute and 6-hour. 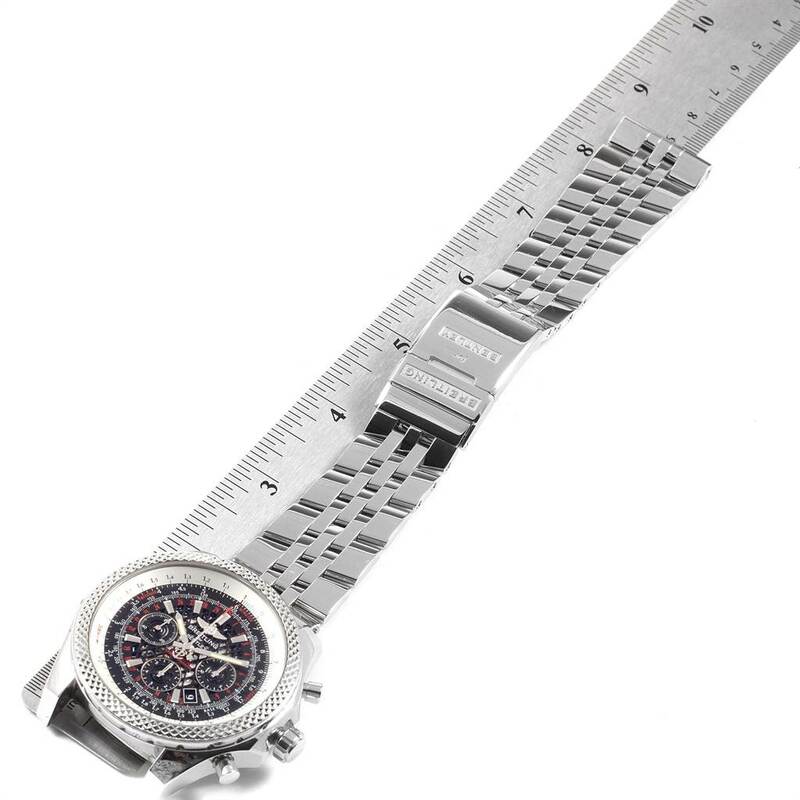 Stainless steel bracelet with the deployent buckle. Fits 8 1/4" wrist. 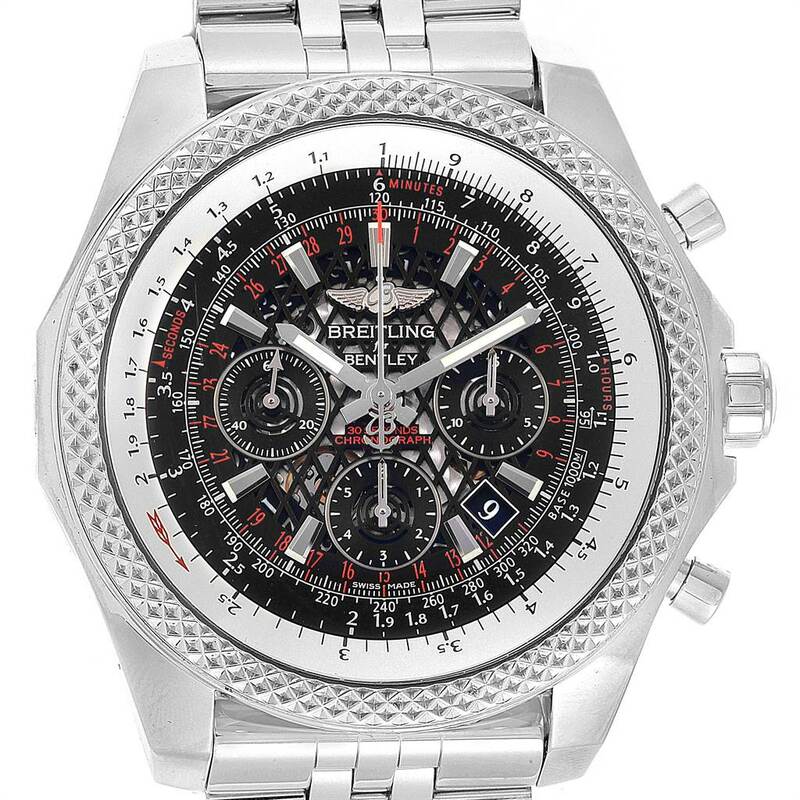 Breitling Bentley B06 Black Dial Chronograph Watch AB0611 Box Papers. Self-winding automatic officially certified chronometer movement. Chronograph function. 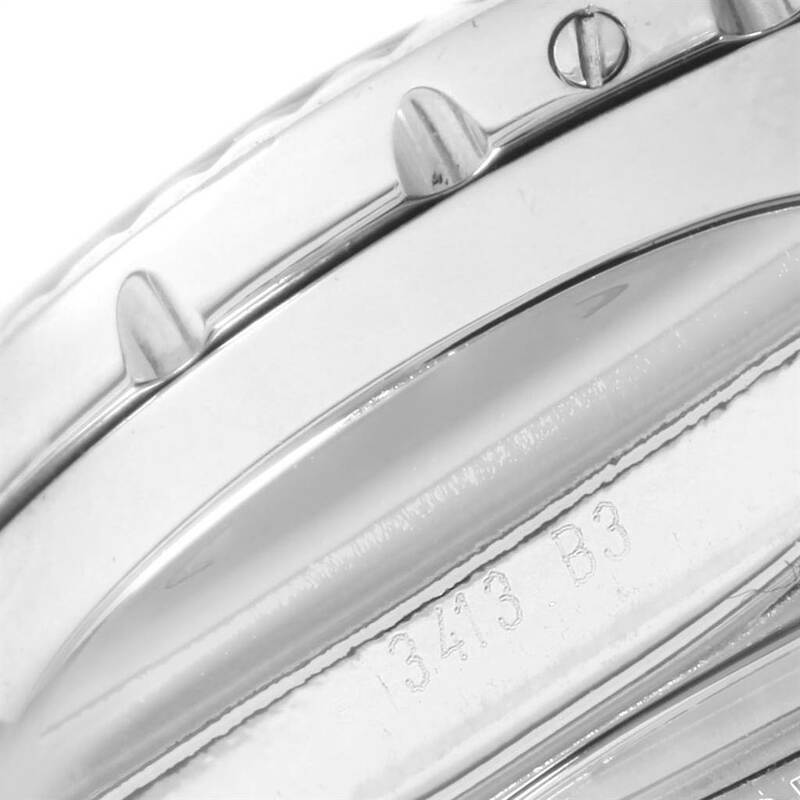 Stainless steel case 49 mm in diameter. Stainless steel screwed-down crown and pushers. Exhibition case back. 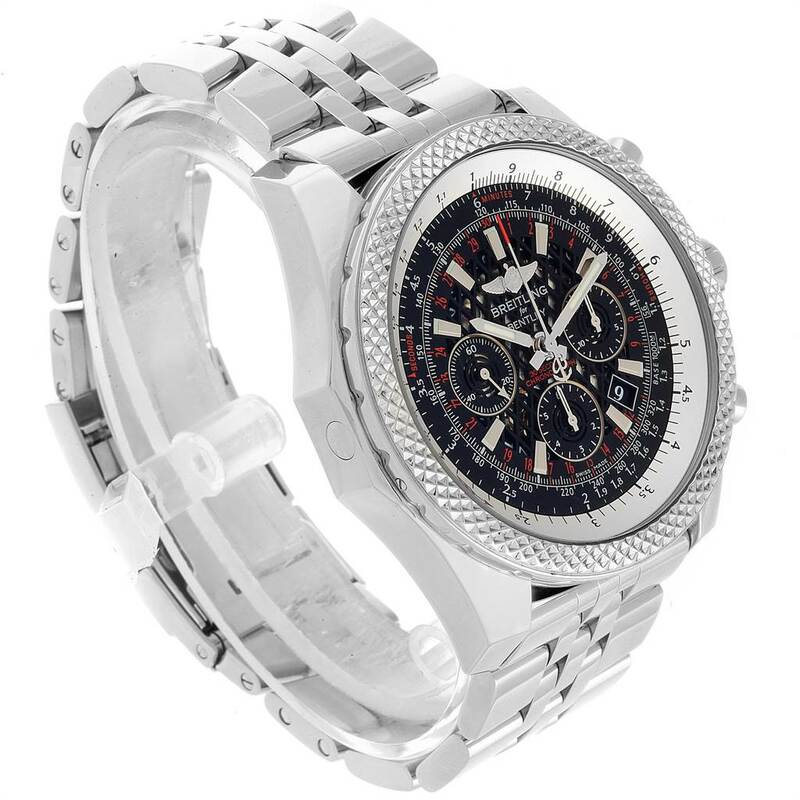 Stainless steel bidirectional rotating bezel. Scratch resistant sapphire crystal. Black Royal Ebony dial. Luminescent stainless steel outlined hands. 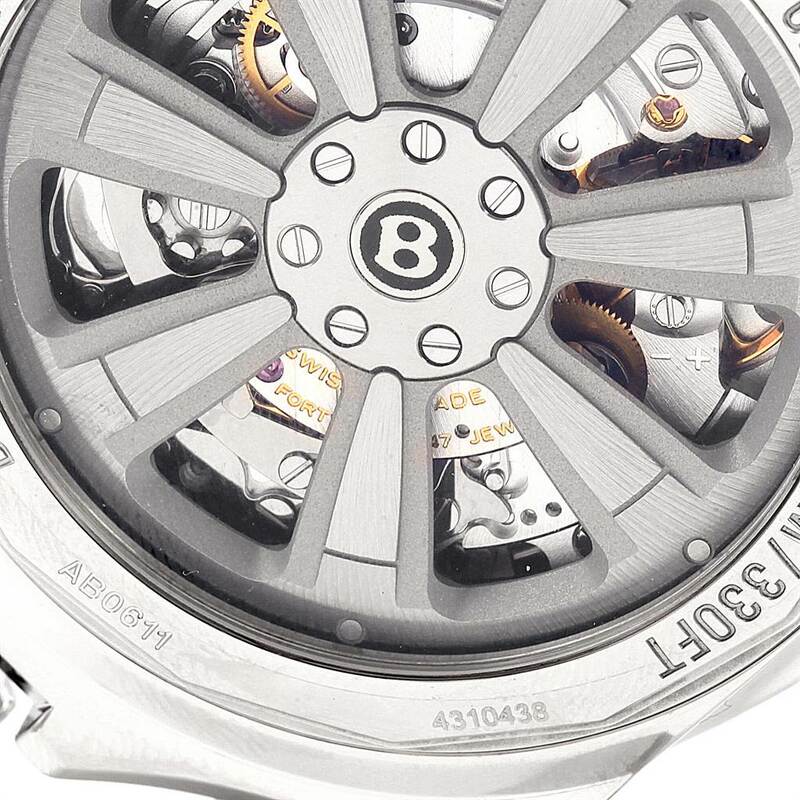 Large red-tipped central seconds counter hand with Britling logo contrweight. Date calendar window between 4 and 5. 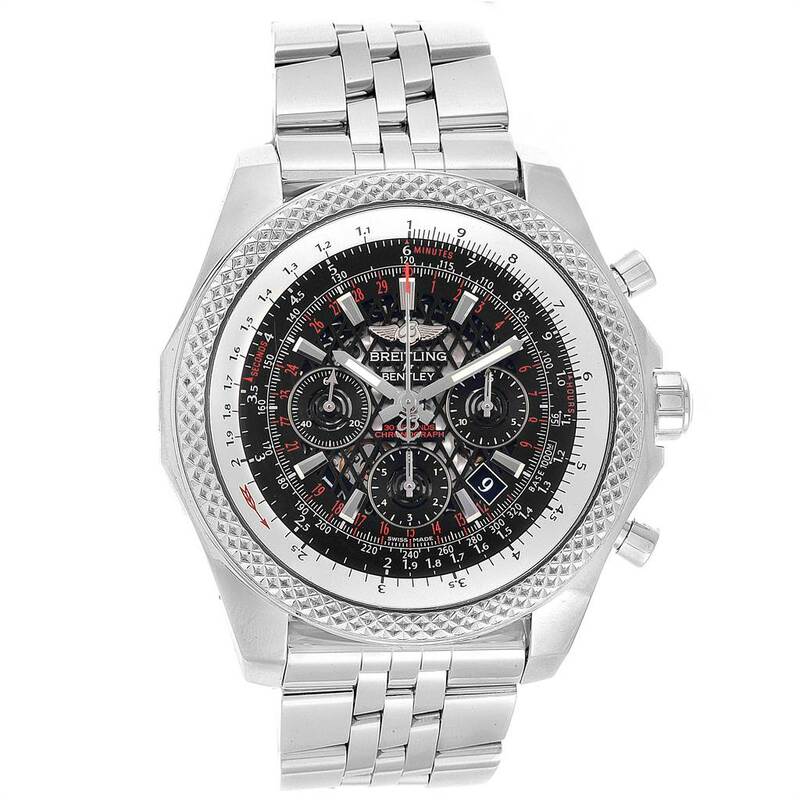 Three chronograph subdials - 30-second, 15-minute and 6-hour. 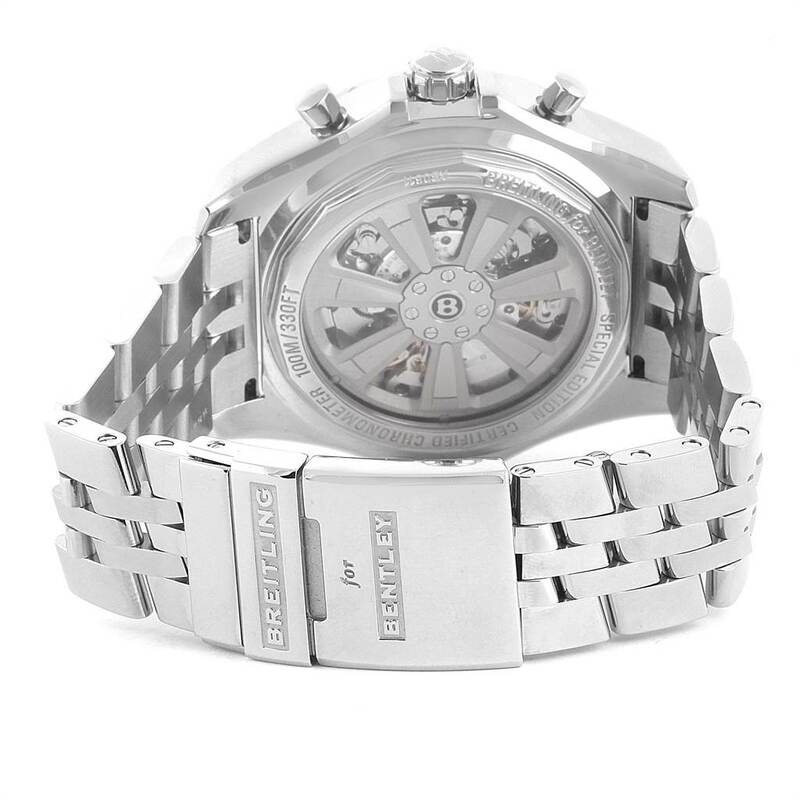 Stainless steel bracelet with the deployent buckle. Fits 8 1/4" wrist.